Fortaleza Blanco is *not* cheap tequila. If you can find it, it’ll likely run you between $40 and $50. All things considered, that’s not a bad price. When you compare this bottle versus others in its price range, you might wince (Patron, Milagro, Corzo, Don Eduardo) but trust me, this is good. Fortaleza Blanco may be the best unaged tequila you can get. I’ve been throwing around superlatives quite a bit lately. But I don’t always write up reviews on what I taste. Until the big adult beverage conglomerates come knocking, I’m buying my own product. And since I know what I’m doing, I tend to purchase stuff in the 80 to 99 point range… a few surprises notwithstanding. And I tend not to write up stuff that I really don’t like… again… notwithstanding. Still, as unaged tequilas go, I can only think of one other that comes up to this level of Fortaleza Blanco; and that one costs about $100 a bottle. Fortaleza Blanco is true tequila. Meaning: it’s made from 100% Blue Agave. And, as this is a Blanco tequila, it meets my requirement of: Unaged = the Real Deal. As I’ve stated before, I am very particular when it comes to tequila. I’ve been sipping, swilling, slamming, shooting, and mixing the stuff for over 20 years. I’ve had my fair share of good and bad tequila. And while I do prefer my tequilas unaged, yes, there have been some añejos of late that have definitely turned my head. So finding an excellent blanco is a real triumph. Now: Fortaleza is what I would consider a sipping tequila. It has all the qualities of an alcohol that requires sipping and careful consideration: intriguing scent, complex flavors, long finish. The herbs, olive, and buttery flavors present in Fortaleza Blanco are unique and pleasing. What you smell is just the first part of your journey with Fortaleza. Its complexity goes even further once it hits your tongue. And it keeps going when you swallow. The thing first got me thinking was: no astringent notes on the scent. As a blanco tequila, I was expecting a hit of witch hazel on the nose, but that didn’t happen. Similarly, the scent of white pepper is quite noticeable, but it’s dialed back on the palate. The herbs, olive, and buttery flavors present in Fortaleza Blanco are unique and pleasing. Back to sipping: If you’re the sort of person who makes Margaritas out of Patron Silver, then you wouldn’t hesitate to make some out of Fortaleza Blanco. But I implore you: sip it first! Get a real sense of what you’re tossing into that cocktail shaker. And if you must mix it, you’d better use real lime juice and Cointreau or Combier! Do *not* mix this with a store bought “Margarita Mix” or you shall feel my wrath! 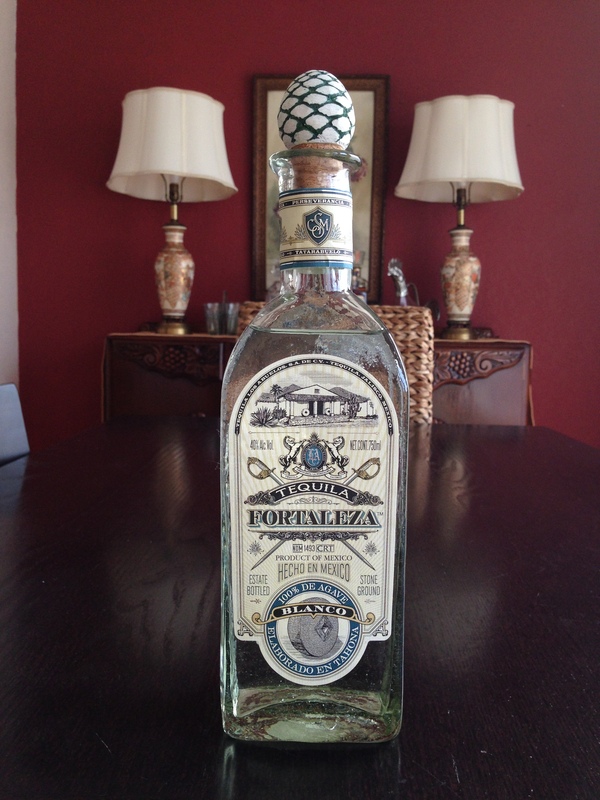 If you consider yourself an aficionado of true tequilas, Fortaleza Blanco belongs in your liquor cabinet.